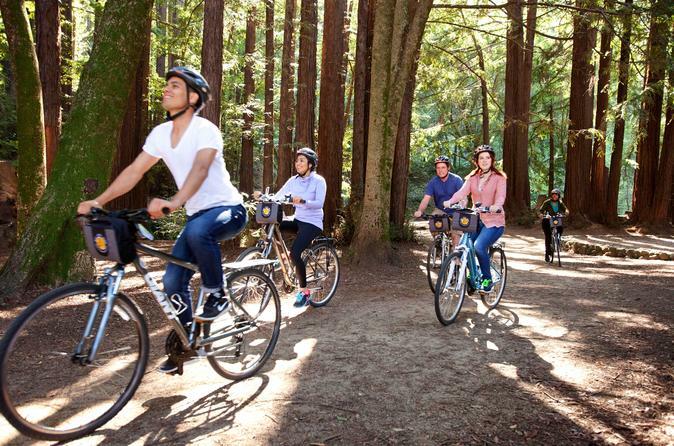 Explore beautiful San Francisco at your own pace with this independent bike tour! Visit famous sites like Fisherman's Wharf, Haight-Ashbury, the Golden Gate Bridge, Lombard Street and Chinatown. Enjoy the freedom to create your own itinerary with your full-day rental. Head San Francisco’s Fisherman's Wharf to pick up your bike for a day of fun! On your independent bike tour, enjoy the freedom to create your own itinerary and explore this beautiful city at your own pace. Visit top San Francisco attractions such as Haight-Ashbury, the Presidio, Chinatown, Coit Tower and Golden Gate Park. Cross the iconic Golden Gate Bridge to charming Sausalito, wind down Lombard Street, and pedal leisurely along The Embarcadero – the possibilities are endless. Your bike rental is valid for a full-day, and both types of bikes come equipped with a storage bag, bell, water cage and bike rack with a bungee cord for your convenience.